One of the best parts of going on vacation is the chance to let your hair down! There are plenty of places in Lake Tahoe to do just that. Each of the major ski areas has dozens of choices, and many of the more sophisticated bar/restaurants have been mentioned in the dining section. 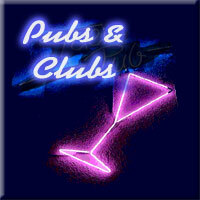 Following are real pubs and clubs with live music, dancing, or karaoke. For entertainment in show rooms and headliners, see the entertainment section. Local DJs also get into the mix, playing the various dance halls and nightclubs that keep Lake Tahoe grooving. One of life’s guiltiest pleasures –karaoke – is alive and well in Tahoe. No matter which you karaoke bar choose to embarrass yourself at, you should be sure to wet your whistle before you croon! North and South Tahoe are full of nightlife. Use the phone numbers to call ahead and see what is on the enterainment calendar.